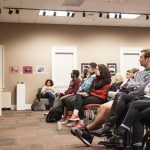 Tuesday, November 14th Guilford welcomed Palestinian graphic novelist Leila Abdelrazaq with a high turnout and engaging questions after her presentation about the complexities of being part of the Palestine diaspora. 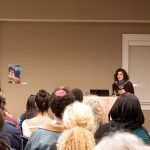 Leila spoke about the themes she includes in her work, such as refugee communities as sites of both life and resistance, the right of return, and excluding the oppressor’s voice when creating her own narrative and graphics. 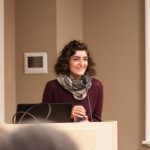 Her presentation was filled with personal stories and was coupled with an insightful glance into how systems of oppression are connected, but are not the sole characteristic of refugees. 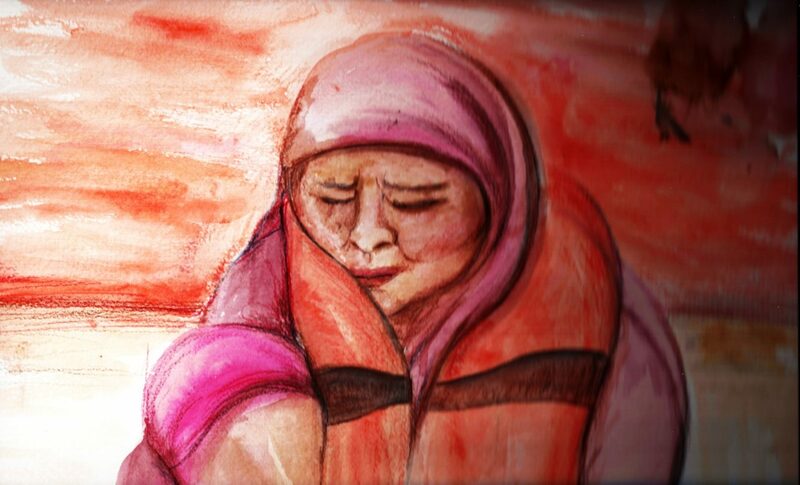 Each have their own stories, history, and agency separate from the systems they exist within and navigate on a daily basis. Much thanks goes out to Leila for her powerhouse presentation and breath of knowledge about producing art in various forms! ECAR is grateful for everyone who helped organize this event and for attendees from all over!